HSO: Intermix is intimate, inviting, and interactive! Get up-close and personal with the HSO. 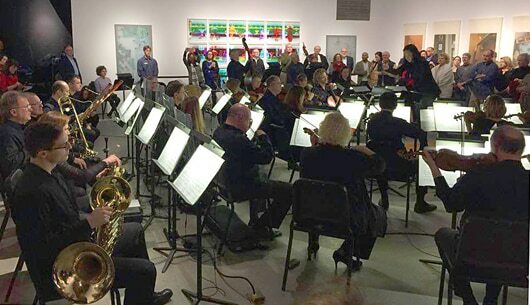 This program, led by Carolyn Kuan, includes a thrilling combination of contemporary and traditional music set amongst innovative multidisciplinary artwork. Experience Samuel Barber’s Adagio for Strings in a fresh, new locale and staging alongside Jennifer Higdon’s raucous, rhythmic, and riveting Dance Card. Current exhibitions were used as inspiration for several of the music selections. Niki Kriese’s solo exhibition Chewing the Scenery inspired the inclusion of Ligeti’s Six Bagatelles, which mirrors the artwork’s complexities. The calming ebbs-and-flows in Nielsen’s Wind Quintet, Op. 43 pair perfectly with Barbara Hocker’s sculptural paper works, Downstream, which take inspiration from the sea and sky. 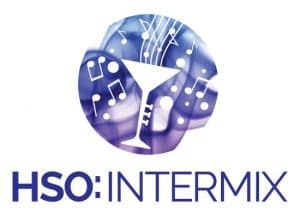 Enjoy music, cocktails, conversation and more at the HSO: Intermix!